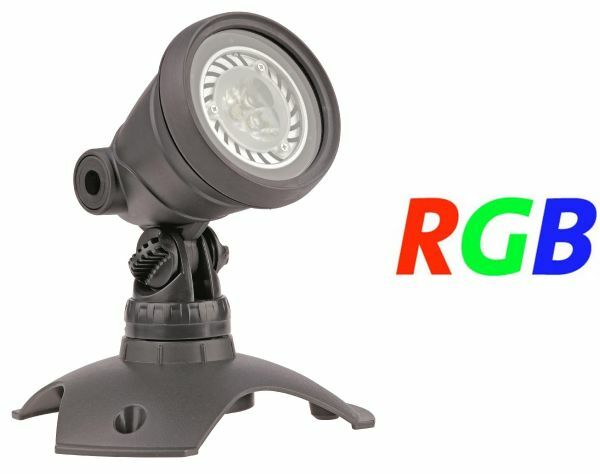 Brand new and exclusive to Water Garden Ltd, the WaterGarden LED RGB Add-On Spotlight Set is designed for use with the WaterGarden RGB LED Master Light Set with Remote, allowing multiple Add-On Spotlights to be controlled via the single Master remote handset. 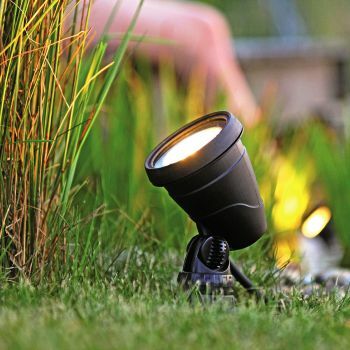 The 3 watt RGB Spotlight offers a choice of 16 colours, a 3 step dimming function, automatic colour cycling function and each light will memorise the previous setting if switched off and on. 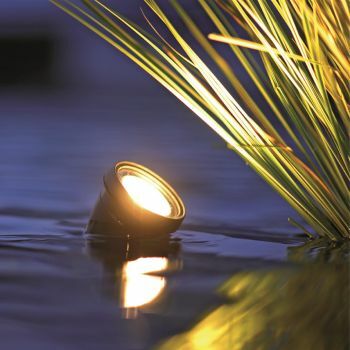 Note: The Master Remote Controller works via short range infra-red signal, so it may not be possible to adjust the bulb colour underwater if the spotlight is submersed deeper than 0.3m below water surface, or if the pond water clarity is poor. It may therefore be necessary to lift the spotlight out of water temporarily to set to a new colour. 3 Step Dimmer function of individual spotlights. 16 different fixed colour choices including warm white and cold white. Automatic colour pulsing option through all colours with 2 speed settings. Automatic colour fading option through all colours with 2 speed settings. Memory function (each spotlight will memorise the previous setting before being switched back on). A single master remote handset can be used to control multiple Add-On spotlights individually. The handset works using infrared technology (i.e. direct line of site) so should be pointed directly at the individual spotlight to change the particular setting for each light. 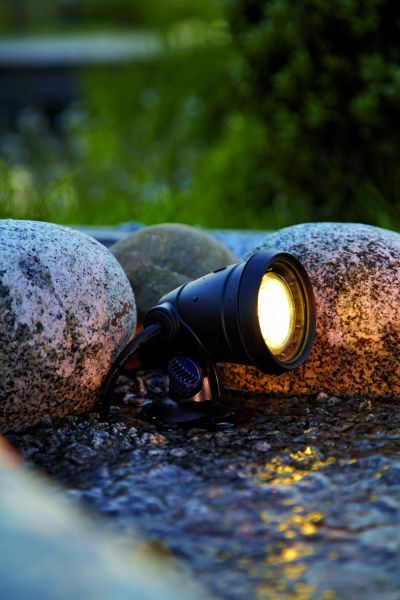 The remote handset has a maximum range of 1 metre so it may be necessary to lift the spotlight out of the pond or water feature if the water clarity is poor or beyond the reach of the infrared range.